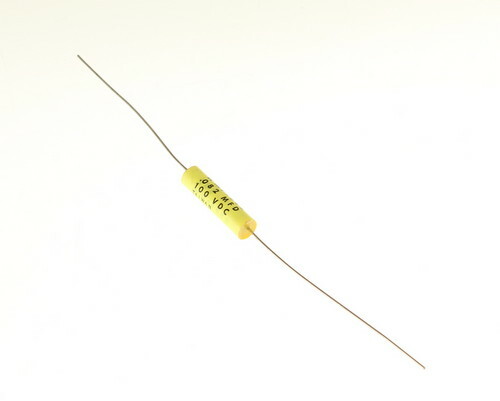 CDE WMF1S82K axial film capacitor. Capacitance: 0.082uF at 100Vdc. Tolerance: 10%. Polyester dielectric. Case size: .27X.93 inch. WMF series polyester capacitors are excellent for high peak current applications. Low inductnce. Moisture resistant with epoxy sealed ends and a sealed outer wrapper.